Whether you are someone who has given dozens of unsuccessful acting auditions or you are someone who is excited on being called to your first casting audition, do you want to know the secrets behind successful casting auditions? Do you want to know the tricks for impressing your casting audition judges? 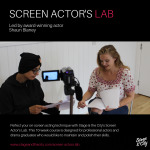 Do you wish to know how you can grab that acting extra or film acting role? Be confident; this is the first and the foremost requirement for impressing the jury present at the acting auditions. Acting demands unparalleled confidence and self-assurance. Without confidence, one can neither give an impressive performance, nor can he/she hold back the audiences to his tv show, film, or theatrical performance. That is perhaps the reason why audition casting judges first check the level of confidence in a contender and then look at his experience, his acting passion and interests, and other personal and professional details. If you have the confidence, you can win half the battle. Have the right body language; remember that when you are on stage, giving open auditions before your judges, you are being scrutinised from top till toe. Your judges are going to judge the way you are standing, the way you are using your hands and arms, the way in which you are delivering the dialogues that are being given to you, and how you are controlling your facial expressions and your voice modulations. In a nutshell, your entire body language would be considered. So, work on your body language to surprise everyone present at the acting casting audition with your charismatic personality. Be informed; Before appearing for the actors auditions, dig out as much info as you can about the casting agency or the tv production house or film director/producer who is organising that audition. Know about their past projects, their market reputation, the type of films or tv shows that they make, and the leading actors/actresses who have worked with them. The more you know the better you can answer the questions asked to you at the casting auditions and the more you can impress the judges.